Seller Commitment - Six months or until sold. · Diminishing Marketing Fee - $1500 Diminishing Fee that is collected at closing if applicable – fee diminishes by $500 every 30 days Caretaker occupies the Property. After 90 days of occupancy, fee diminishes to zero! · Early Termination Fee - $39 per day for the remainder of the 6 month commitment should the Owner wish to do something else with the Property. 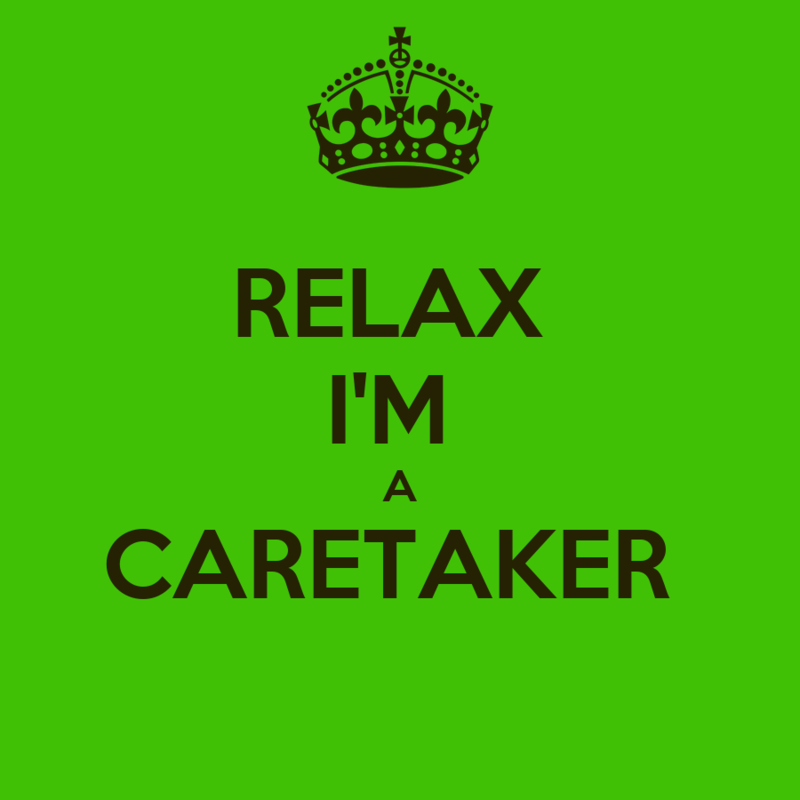 · Caretaker Conversion Fee - $750 to convert our Caretaker to Owner’s Tenant. · HIT requires a minimum 30 day written notice to terminate Agreement (for closing). A simple statement of the closing date from the Owner is sufficient. We take the closing date and back up 3 days to ensure the house is ready for closing. We MUST provide Caretaker a 30 day written notice to vacate. We provide the notice to our Caretaker based on when we RECEIVE the notice from Owner Sometimes we can make the house available sooner but always plan on at least 30 days. · Quality screening of all Caretaker Applicants over the age of 18. · Matching of the right people with the right house. · Professional Staging Services of the Caretakers furnishing. It's no secret, Brokers appreciate showing a house they can sell quickly. Since a house with a breath of life, nice furnishings and proper care will always attract more buyers and better offers than a cold vacant dwelling, guess which one is easier to sell? Not a bad policy if you feed your family from a commission check! Brokers don't like to show rentals because of all the hassle and they would much rather show a HIT Caretaker Occupied house or maybe even a staged house before they showed a vacant house because they know they earn higher and faster commissions when they sell occupied houses. HGTV and many other real estate shows would not be as successful demonstrating the benefits of a fixed up, furnished "model home" approach to selling houses if vacant houses sold better. Brokers sometimes get fixated on their traditional marketing plan and lose sight of adding incredible marketing opportunities like Homes In Transition. It's just not true in this market, that vacant houses sell faster. Vacant houses close faster in "hot" markets because buyers are standing over the property waving cash to get in, and yes, having to move a Caretaker under those circumstances would slow things down for at least 30 days. As a Custom Home Builder, I would never think of showing my work without the added benefit of furnishings, nice appointments and regular maintenance. Home builders furnish their models not because they have a bunch of furniture in storage, but because it's the time tested best way to market their product! And Homes In Transition is the best way to gain that marketing advantage WITHOUT ANY OF THE COST OR HASSLE. If your house is sitting vacant with no showings, little interest and your marketing plan needs a breath of life, HIT is the solution. If you want a great place to live with no long term commitment all for about the cost of a studio apartment, HIT may be the solution. Whether you are a Property Owner, Broker or prospective Caretaker, we hope you will take some time and see what our company has to offer. I'm Tom Schmidt, President and CEO -- I'd like to personally welcome you to Homes In Transition (HIT). We are constantly updating the information on this site to bring you the most comprehensive information about our services and how you can put them to use for your particular situation. If you don't see what you're looking for, please contact us or call our corporate office. We have added a lot of text here based on the thousands of discussions we have with our clients. It is a wonderfully simple business model that always needs a good measure of explanation. If you would rather see what we do, check out our video. Homes In Transition is an A+ rated BBB company, headquartered in Albuquerque, New Mexico. HIT was founded in January 2009 and enrolled its first house on January 27, 2009 - three days before we officially opened our doors! HIT's staff has nearly 30 years combined experience serving Property Owners, Real Estate Brokers and Caretakers in this unique service industry. My personal experience goes back to when we introduced this concept to New Mexico back in 1986. Our mission is to help Property Owners including individuals, investors, banks even the federal government, manage the day to day care and maintenance of their vacant properties, while providing a marketing solution for the property that in many cases rivals that of an owner occupied situation. Part of our mission is to provide a much improved, always available, safe and comfortable showing experience for Brokers so the property has the best chance possible to sell faster and for more money. To help meet these goals, we also provide a high quality, housing opportunity for qualified families and individuals who can live in one of our great houses for about the cost of a studio apartment. Together, it is a shared solution for all parties. Homes In Transition is the solution for vacant houses. We not only provide a unique marketing opportunity for vacant houses, which costs the Property Owner little if anything, but we keep these properties safe, maintained, and we even pay the regular operating costs such as utilities and association fees. One of the best consequences of our business is that the distraction of "another vacant house" is removed from the neighborhood making it more attractive to prospective buyers and giving the neighbors some relief from having one less vacant house to deal with. HIT is the lowest cost, most effective, private enterprise, neighborhood stabilization program available. We are the solution for vacant houses!